Have you ever wanted to adopt a character from a book? 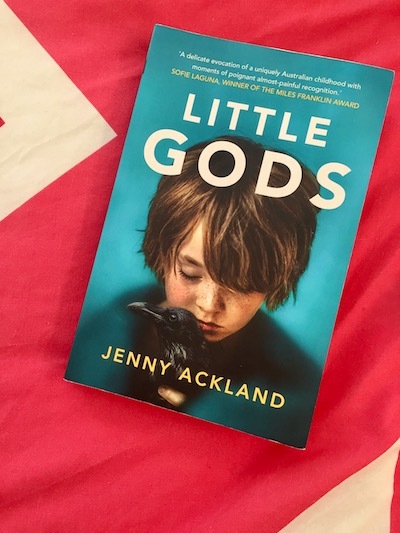 The thought never occurred to me until I read Jenny Ackland’s latest novel, Little Gods. Once you’ve met twelve-year-old Olive Lovelock, the novel’s narrator, you might just feel the same way. But too bad. She’s all mine. Jenny Ackland’s first novel, The Secret Son, was a tale of men and war and Australia that sprawled across generations and continents. In contrast, Little Gods takes place on a smaller scale. But don’t let this quiet novel catch you unprepared: Little Gods might just crush your heart. …Don’t say I didn’t warn you, okay? Click here to take a look at the rest of my review. As always, my thanks to Jean and Linda for publishing my thoughts and generally putting up with me. 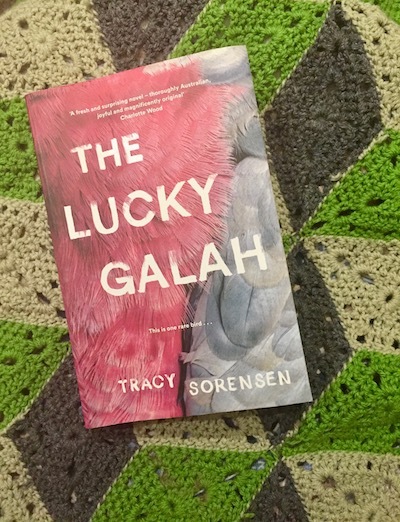 Linda and Jean from Newtown Review of Books were kind enough to invite me to review The Lucky Galah – the debut novel by writer, filmmaker, academic…and fellow Newtown Review critic, Tracy Sorensen. The moment I found out it’s set in the Sixties and narrated by a galah called Lucky, who receives the thoughts of people in the town via a local satellite dish, I was sold. The galah is an intelligent animal, despite its reputation as a clown and lightweight. A captive galah needs constant activity if it is not to decline into depression. Tearing up books, page by page, is a mental, physical and spiritual workout for me; as good as any gym, yoga class or university. You can read my review right here, if you like. Or just take my word for it and nab yourself a copy from your nearest bookshop or library. Your to read pile will thank you. Huge thanks to NRB’s extraordinary editors, Jean and Linda, for wrangling my wayward words into shape!